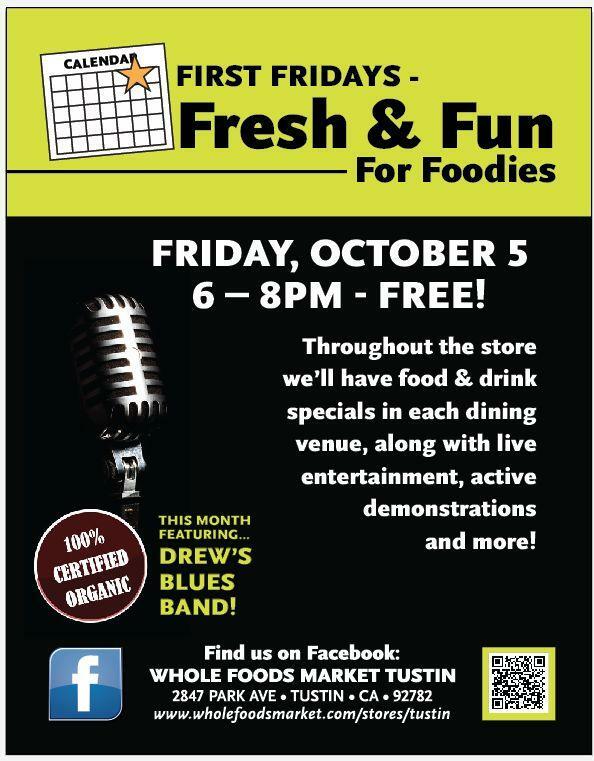 Guaranteed to be the best trip to the grocery store you’ll EVER make; come on out to Whole Foods in Tustin and taste a little wine, sample a little something from the smokehouse, buy some fresh produce… and dance to some killer blues while you’re at it. Even if you’re just picking up a quart of milk, stop by and say hi. We’re looking forward to getting your feet shufflin’!